"The ultimate in alien terror." We are the Pumpkin Poops (but only for October)! 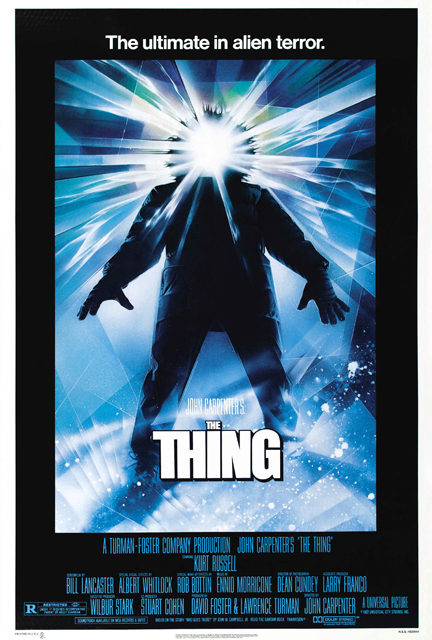 Tune in this week as we kick off our month of sci-fi horror films with John Carpenter's 1982 film THE THING! This week's episode was Jessica's pick. In this week's podcast, Jessica delves into her very thoughtful Marxist reading of Carpenter's seminal classic, and Dustin spends a little too much time praising the film's color palette.